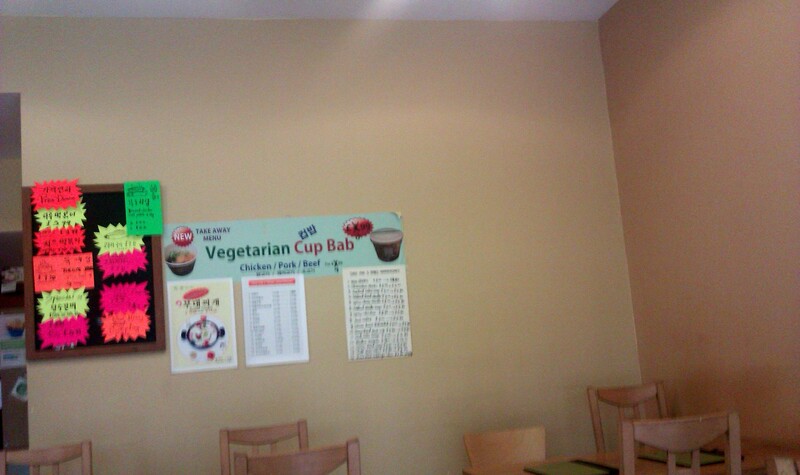 The photos of the dishes displayed on the window hide most of the inside decor but they give you a rough idea on what is available in the restaurant as soon as you enter (there is a larger dining hall inside which has been set up like a very traditional Korean restaurant with longer tables). We managed to get a table for two right away before being asked by the waitress what drinks we would like and took our orders five minutes later. Food waiting time was very reasonable. 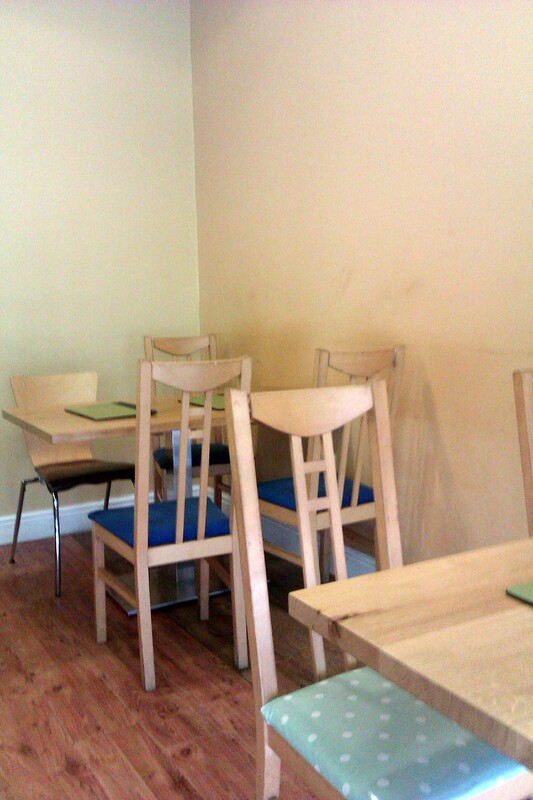 We didn’t have to wait too long for all our sides, starters and main dishes to arrive. Five minutes waiting time for each dish approximately. 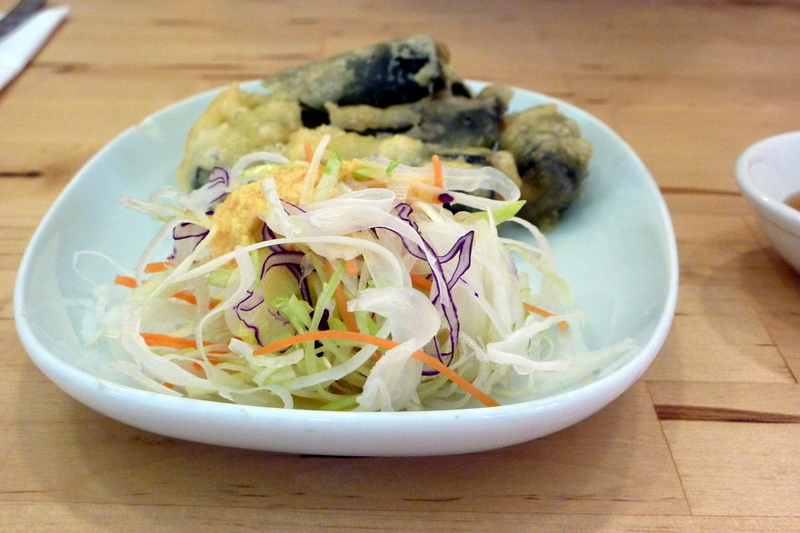 The Gimmari Twigim (deep fried sweet potato and vegetables wrapped in seaweed) arrived first, followed by the tasty banchan – Kimchi, potato cubes in spicy sauce and a small dish of beansprouts. 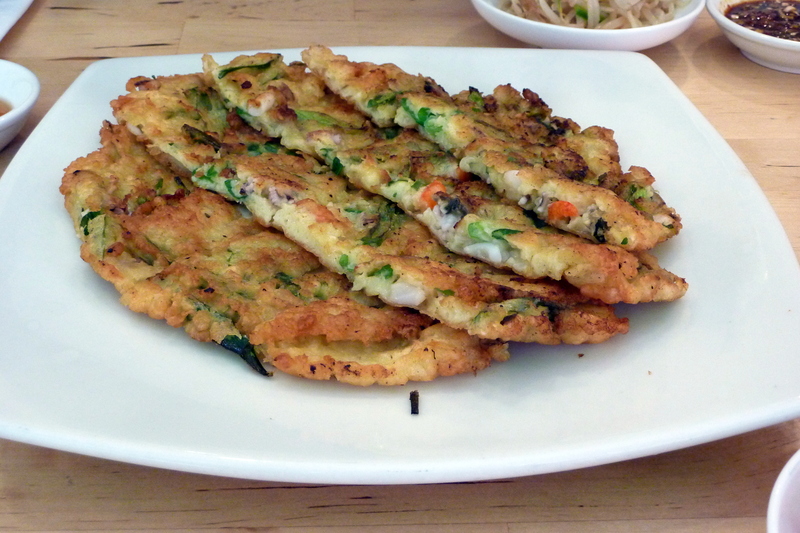 Pajeon (seafood pancake) proved to be a very popular choice from what I had seen at other tables. It was delicious and tasted great with the dipping sauce. It’s an ideal choice if you intend to share with other parties. My friend’s main dish was the Dolsot Bibimbab and the waitress mentioned it was part of the special lunch deal that day. 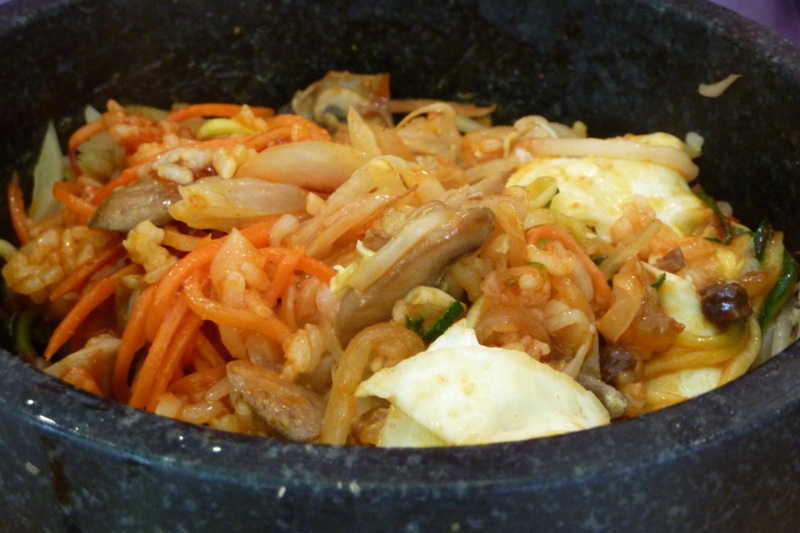 Wonderfully presented with a fried egg on top and the stone pot’s sizzling could be heard on arrival. 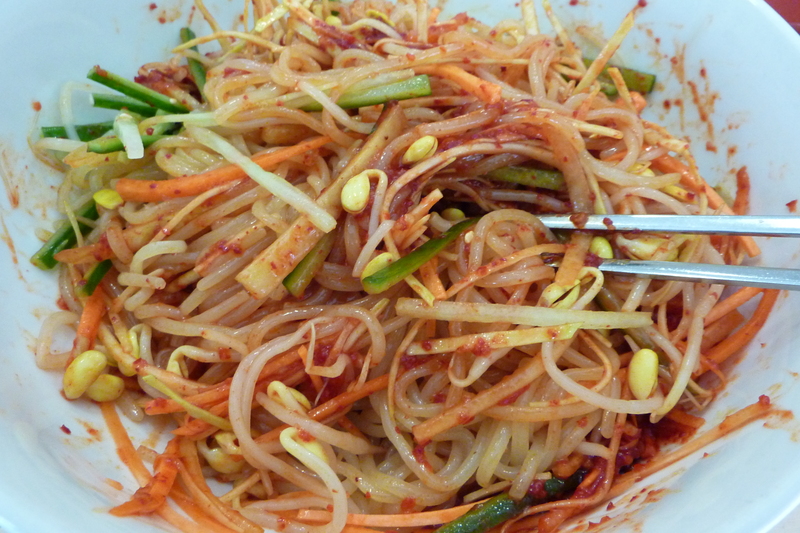 My dish was Jjolmyun (spicy chewy cold noodles with vegetables). 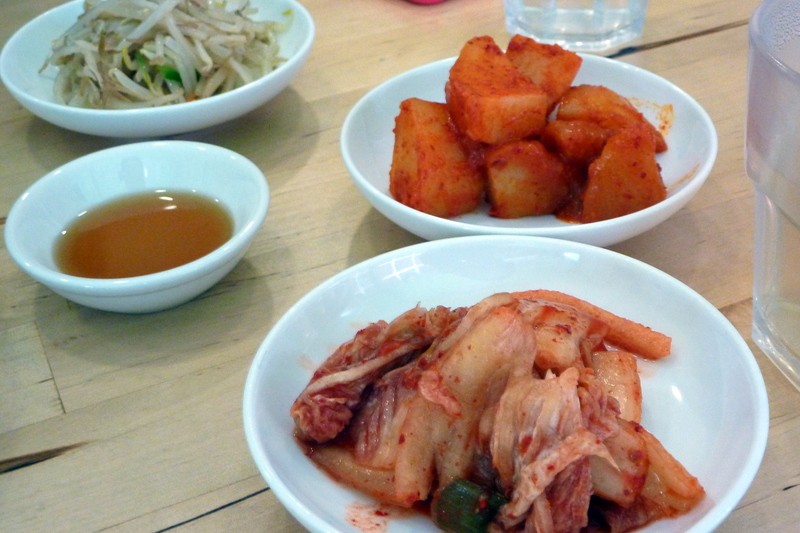 I had ventured down the cold noodle route before at Arirang and thought about trying the same dish again at Ha Ru. This portion proved to be much bigger than my first try a few months ago. I allowed the waitress to cut the noodles to make it easier to eat and it took perhaps fifteen minutes for the actual spiciness to start taking effect after I mixed the sauce with the noodles and vegetables. Fantastic restaurant with delicious food. Excellent, prompt service from the staff. Service charge plus our drinks (tap water and refillable barley tea) were not included on the bill though we were happy to leave the bill’s change as a tip for the restaurant. My friend and I underestimated the portion sizes for some of the dishes – Jjolmyun in particular was unexpectedly huge with so many vegetables concealing the long, chewy noodles. 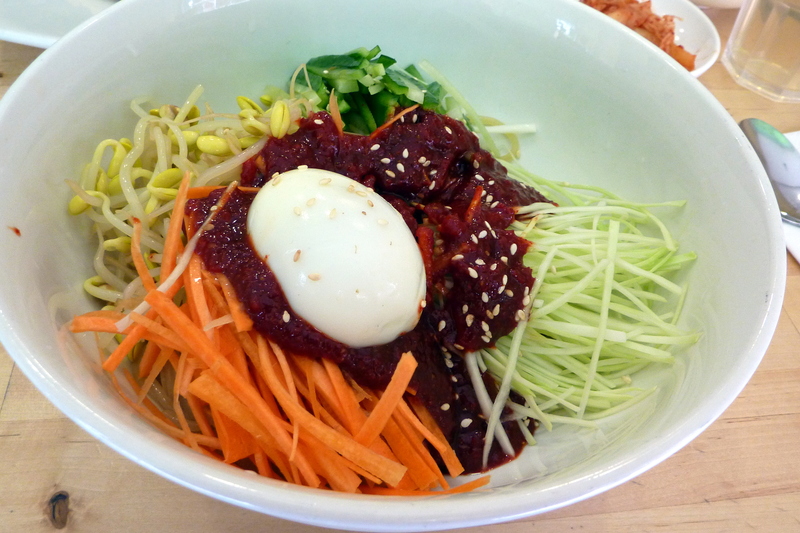 That cost £4.90 whilst the Dolsot Bibimbab’s lunch price was £5.90. 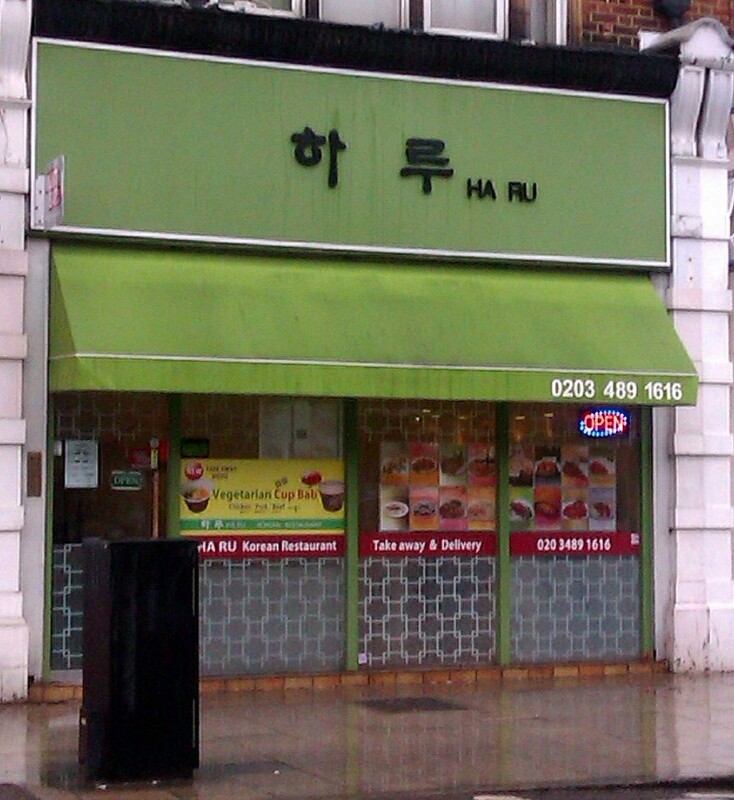 I think these two prices made our lunch time visit to Ha Ru absolutely worth it. We were very full half an hour later, unable to finish the remainder of our Banchan and Miso soup but we left the restaurant with a satisfied feeling of eating a great meal at affordable prices.